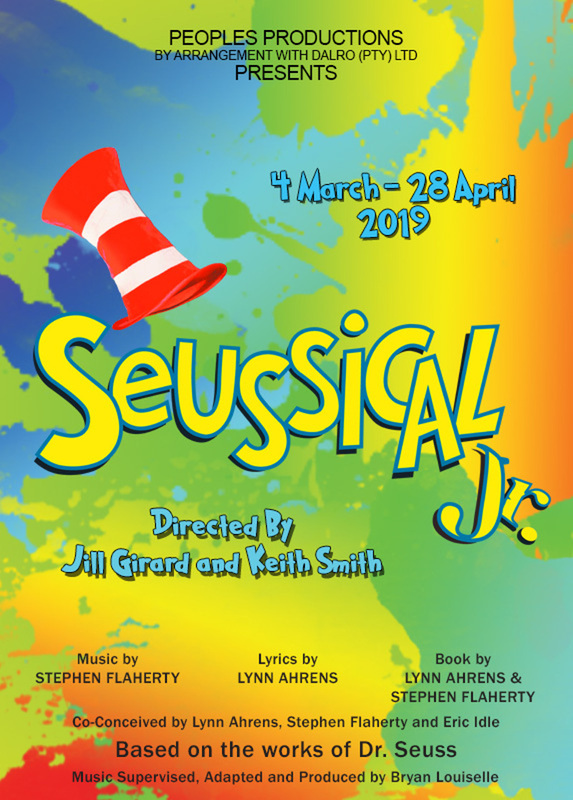 Designer Grant Knottenbelt will be bringing Dr Seuss’s unmistakable, quirky pages to stage with his set design. Merry Whillier and Sean McGrath will tickle the audiences’ imagination with their costume design. Sandy Richardson (Dyer) choreographs a superb cast of actors and is sure to even get audience’s feet moving in time to the catchy tunes. The Cat in the Hat and the sour Kangaroo will be played by rising newcomers: Katlego Nche, and Megan Spencer respectively and will bring their wit and charm to these synonymous characters. Luciano Zuppa brings his wide-ranging theatre experience to the character of Horton. Lovable to the end, this kind-hearted elephant is a hero with a message and not to be missed. Masego Mothibakgomo plays the quirky Gertrude Mc Fuzz and another People’s Theatre favourite Nonhlanhla Mkhonto plays the effervescent Mayzie. Thokozani Jiyane, who charmed in Annie Jr, returns to the Peoples Theatre as Mr. Mayor and is sure to delight the audience again. Discounts for school bookings apply, with tickets R80 per person.